You've made it! 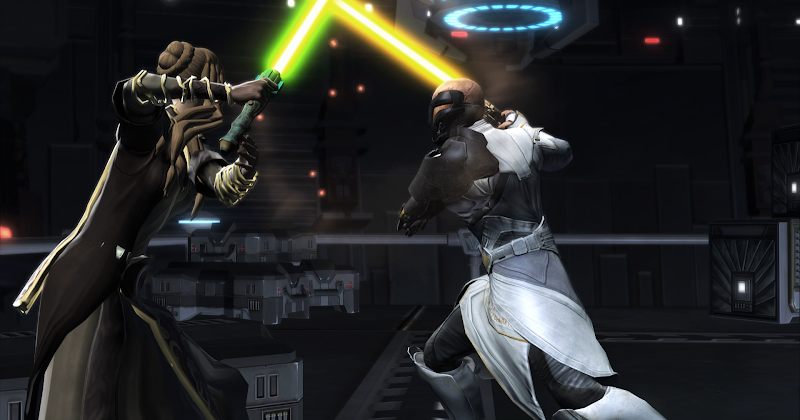 All the way to level cap in Star Wars: the Old Republic. If you want to participate in group content, this is where the gear labyrinth starts. One thing that used to puzzle me is why I was told I needed 110% accuracy: surely hitting everything always (100%) is good enough?! Accuracy is an example of know-how information that oldtime players take for granted, but that is less logical to new players. After all, the finesses of the combat system are rarely explained in-game, and not everyone enjoys digging through game fora to track down what other players have discovered. 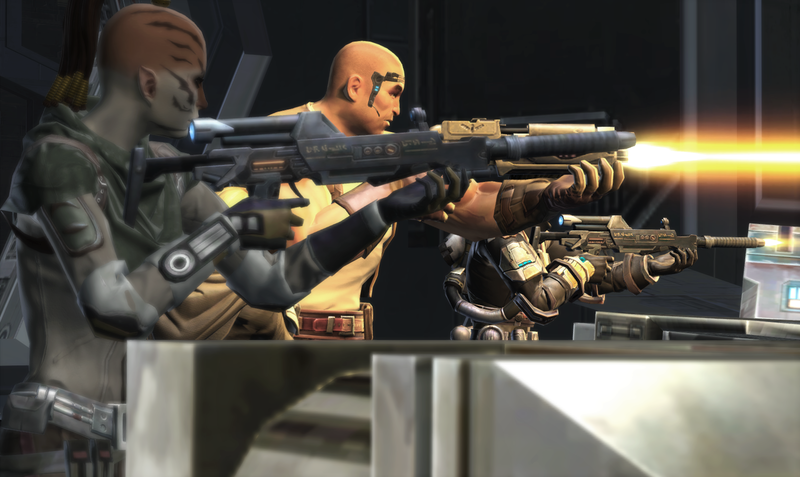 This motivated me to write a brief overview of how accuracy in SWTOR works and what implications it has on gearing. The goal is to not only let you look up how much accuracy you need for your character, but also to understand why. For this, I will briefly touch the underlying mechanics of how damage is dealt and received in the game. Special thanks goes to Conrad for helping me with the part about accuracy in PvP. The game is designed to never miss by default: all characters automatically start with 100% accuracy. However, enemies of elite quality or higher (recognizable by a gold star next to their name) have 10% chance to dodge or resist your damage. Therefore, DPS players that participate in group content want to have 110% accuracy, so all their attacks will hit on boss fights. You can increase your accuracy by equipping accuracy enhancements, accuracy augments or - new since 4.1b - by using accuracy stims. To wrap it up: if you are never going to join heroics, flashpoints or, particularly, operations on level cap, you can ignore the accuracy stat entirely. If you do want to participate in this type of content and you are playing a DPS role, you need to make sure your accuracy is at 110%. The following table shows how much accuracy you need for different roles and situations. It is simplified; read the explanation of each number in the rest of the article below. Note that all characters start off with 100% base accuracy. * The amount of accuracy to aim for for DPS classes in PvP depends heavily on class, spec and individual situations in warzones. See "Accuracy in PvP" below. What about tanks then? Surely they want to be able to hit bosses? After all, damage generates threat and threat causes tanks to have aggro. This is all true. Luckily, Bioware realized this and made all tank stances bestow 10% extra accuracy. Mouse over the tooltip of your tank stance and it'll say. Together with the base accuracy, this makes a total of 110% accuracy. This way, tanks can focus on defensive stats (absorption, shield and defense rating) instead of accuracy for their enhancements, augments and stims, and increase their survivability while still being able to hit everything. Although healers are capable of dealing a few hundred DPS on boss fights, a miss will have a negligible effect on the raid's success. Healers should ignore accuracy altogether and focus on their critical and alacrity stats instead, in order to increase their healing output. If you heal and DPS on the same character, it is advisable to create a separate set for each role. If you're playing a healer, I'm afraid the rest of this article is of little interest to you; read this post on how to heal to full instead! As I mentioned before, there are three ways of increasing your accuracy: through enhancements, through augments and through stims. The best way to gear for accuracy depends on ease of acquisition and the available alternatives for each method, and may therefore vary per update or expansion. Currently (we are writing Knights of the Fallen Empire, update 4.1b), 110% accuracy equals 684 accuracy rating; a character starts off with 100% base accuracy, which equals 0 accuracy rating. The way in which you can get most stats in addition to accuracy, is to take accuracy stims into account. These "Advanced Polybiotic Proficient Stims" give 218 accuracy, meaning that you only need to get (684 - 218 =) 466 accuracy rating from gear. However, there difference isn't very big, so not using accuracy stims is viable as well (for instance for players that switch roles a lot); then you'll have to get 684 accuracy rating from gear. A good approach is to visit the operation armour vendors of your class on the fleet to check how much accuracy you will get from enhancements on your set bonus gear. You can add the remaining accuracy needed with augments. The reason you'll want to look at set bonus gear is that the item modifications have the right stat distribution, whereas commendation gear is usually endurance-heavy at the expense of useful stats such as accuracy, mastery, crit and alacrity. If you discover that you'll get more accuracy enhancements from the set bonus gear than your current gear, you can always add some extra accuracy augments and swap them for other augments when you acquire said set bonus pieces. For healers and tanks, accuracy in PvP works the same as in PvE: healers don't need it and tanks get it from their stance. For DPS classes, it is more complicated. Sages/sorcerers and scrapper scoundrels/concealment operatives don't need to gear for accuracy in PvP. This is because players (and thus opponents) don't have a base resistance chance. Classes that only deal force and tech damage (which can only be resisted) have no need for accuracy. Accuracy in PvP literally does nothing for sages/sorcerers and scrapper scoundrels/concealment operatives, assuming you are not being debuffed. 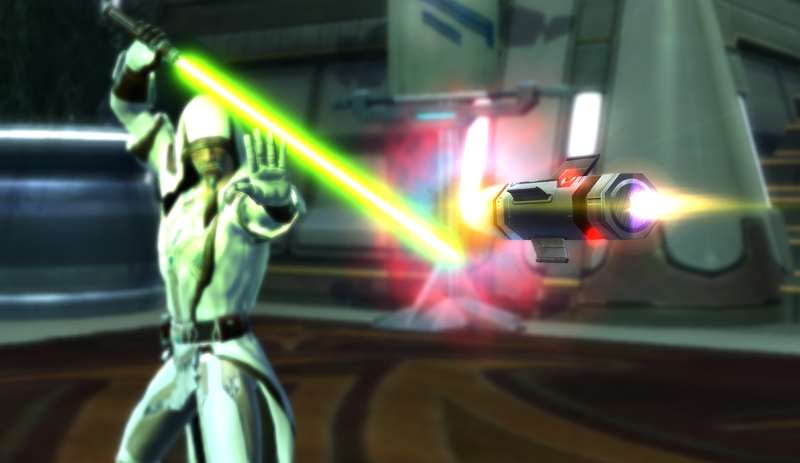 Players do have the chance to dodge attacks: 10% for consulars/inquisitors, 5% for the other classes. So do we want 105% accuracy in PvP? Unfortunately, it's more complicated than that, because we have to take tanks into the equation. Tanks have an AoE ability that reduces accuracy by 5% (guardians/juggernauts have force sweep/smash; shadows/assassins have force breach/discharge; vanguards/powertechs are the exception with riot gass/oil slick, which bestows -30% accuracy but cannot be up all the time). If you expect to face tanks a lot (for instance because you play ranked arenas, in which almost every team has a tank) or if you value consistency for all your attacks highly, you may want to gear for 110% accuracy (again, unless you're a sage/sorcerer or scrapper scoundrel/concealment operative). It may seem like not a big deal, but missing an execute in a 1v1 can make the difference between getting a kill and getting killed. Then again, some players may value burst damage higher than hitting everything. I would argue that accuracy in PvP is especially important for classes that depend heavily on ranged and melee attacks (which can be dodged), such as gunslinger/sniper, guardian/juggernaut, sentinel/marauder and commando/mercenary. Personally, I would aim for at least 105% accuracy if you're not a sage/sorcerer or scrapper scoundrel/concealment operative to make sure your ranged and melee attacks land, regardless of if there's a tank around. However, it's really hard, if not impossible, to calculate the perfect amount of accuracy, due to the unpredictable nature of PvP. There's no consensus on the forum on this topic. Armed with the knowledge presented above, though, you can probably make a guess. 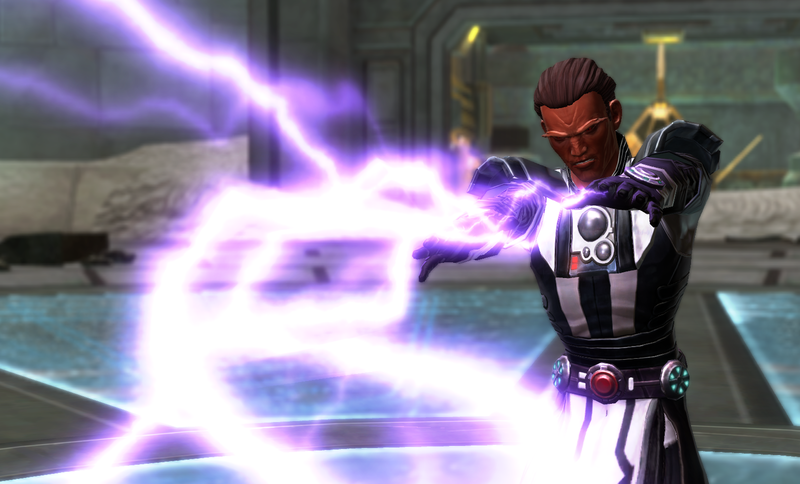 **Players can only resist force attacks when they use skills to increase their resistance (such as resilience/force shroud for shadows/assassins) or decrease their target's accuracy (such as riot gass/oil slick for vanguards/powertechs). I have played tank and dps, but only casually, like in story mode ops or flashpoints. Never enough to have to worry about min-maxing my performance. Healing > all! Although it's a good guide you shouldn't advocate the accuracy stim gearing startegy exclusively, The use of versatile (mastery/power) stims yields almost exactly the same amount of dps (theoretical models says 1-2 dps difference). Fair enough. Changed it a little bit so it's more clear that it's not the only road to go.